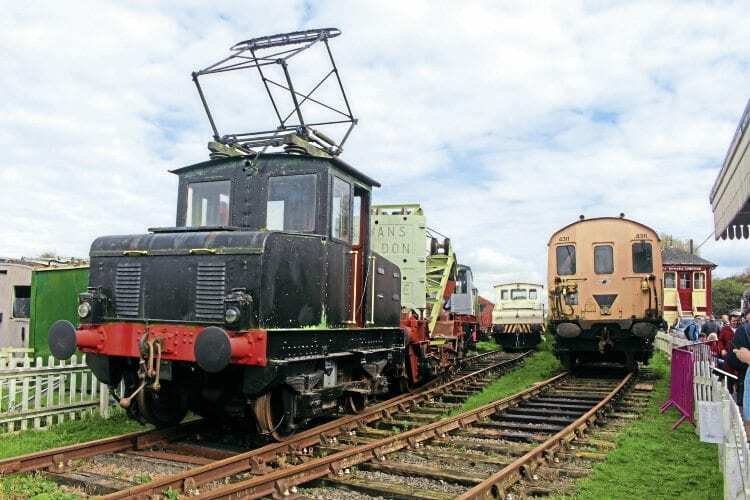 THE Electric Railway Museum (ERM) at Baginton, Coventry, staged its final open day on October 8 (RM August, p11), writes Peter Nicholson. The museum was established in its final form 10 years ago and has only opened to the public on a few days each year. The number of visitors for the 2016 season was in the region of 2,000. However, this last chance to view the unique collection of historic electric multiple units, both restored and awaiting attention, attracted no fewer than 1,000 visitors on the final day. Many enthusiasts were making their first and only visit to the site and were impressed with what they saw. Local families, who had become the mainstay of those attending the various themed open days, were also out in force for a final look-round, expressing sadness at the loss of this educational facility. The big question for everyone though was of course: ‘What happens now’? ERM officials were on hand to announce that homes had been found for nearly all the stock, albeit some locations more satisfactory than others. However, it would appear a ‘mass scrapping’ has been averted.